Fabulous capture and wonderful dof, fav! Lovely DoF, shame you cropped off the very tips of the blossom though. @30pics4jackiesdiamond Not a shame to me: The open blossom, at the bottom of the frame, wasn’t the subject of the photograph. @phil_sandford still a shame though! The unopened buds are so vibrant. Great for. Pink calendar. 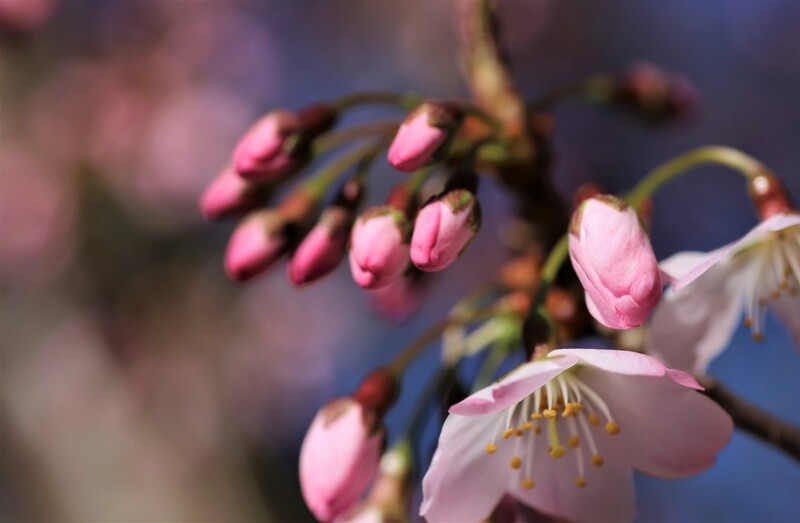 It is wonderful to celebrate the first blossoms of spring. Beautiful. You are welcoming the sunshine and we are welcoming the rain.